In the NASCAR All-Star race, NASCAR brought a brand new package. The low downforce aero package was replaced with a taller spoiler, aero ducts and an old splitter creating high downforce. In addition, a restrictor plate was installed on the engine. The idea was to bunch up the field. It wasn’t to create pack racing. It was just to create a race with more passing and a situation where the leader couldn’t get away. It wasn’t perfect, it didn’t hit all of those bullet points… But, it was close. Directly following the All-Star race, NASCAR stated that the All-Star race passed the ‘eye test’. However, they still needed to take a ‘deep dive’ into the data. In addition, they explained that an industry meeting was planned following the All-Star event and the package would be a major discussion point. That meeting has since taken place. It would appear that they have agreed to give it a second test run. The ‘where’ part is still to be determined. 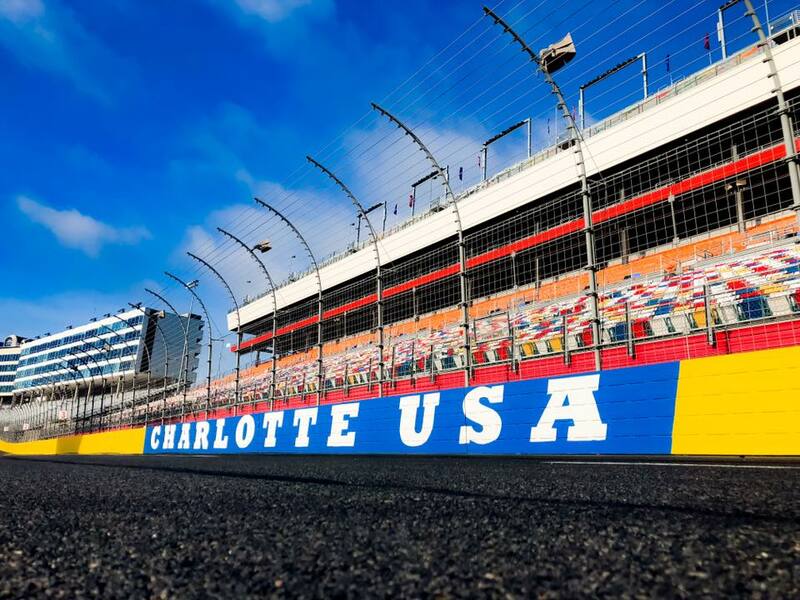 “I think we certainly feel like it has a lot of potential for especially some race tracks,” Scott Miller stated on ‘The Morning Drive’ via Sirius XM NASCAR Radio. “Before we totally commit to putting races on the schedule for ’19 — we all kind of felt it would be interesting if we could take another look at it somewhere this year,” Miller said. But where? The general ideas circle from the drivers, teams and the sanction have hinted at Michigan International Speedway and Indianapolis Motor Speedway. However, Michigan is more than likely to be the selection. There’s two Michigan races left for 2018. The first takes place on June 10th. The second Michigan race is August 12th. Indianapolis is not a likely selection as it’s the final race of the regular season before the playoffs begin. Marcus Smith wanted the package to be used the following week in the Coca-Cola 600. However, his lobbying efforts were denied. Instead, they used the regular low downforce package in the Coke 600. Kyle Busch ran away with the show, winning all 4 stages. “Logistics were against us in the way the teams work and do so much ahead of time. But I am really happy with the way the sport overall has responded. There’s a really good shot we are going to see it more,” Marcus Smith stated. Related: NASCAR comments on using the new package in 2018? 2019?